Chris Pine is a man who has worn many hats in his acting career thus far, playing both Captain Kirk in the incredible Star Trek reboot and, on the total opposite of the spectrum, a washed-up, reclusive, and brooding rock star in the Netflix series Wet Hot American Summer: First Day Of Camp. If you've been watching the reboot, you may have one question about the actor in particular on your mind: Can Chris Pine actually sing? On the show, Elizabeth Banks' character, Lindsay, plays an undercover reporter who discovers the dark story of the rock star who moved into a log cabin at Camp Firewood and never emerged again — that is, until she showed up and inspired him to get back to his music. In one of the final scenes of the reboot, Pine has his Almost Famous, golden god moment when he climbs on the roof and breaks out into a version of "Higher and Higher" to bring together the kids from Camp Firewood and the rival, evil rich kid camp with his song about "friendship." Well, fellow First Day of Camp fans, I'm here to tell you that those were really his pipes, and the boy can belt. The scene proves that Pine really has it all. He's a great actor — comedic and dramatic — and he has the voice to match. Even though "Higher and Higher" is a hilarious, over-the-top proto-punk song, Pine's voice is still golden. All the better that he nailed it, too, because the song is a callback and an homage to the original version in the 2001 film, which was written by Craig Wedren and Theodore Shapiro. I think Pine did it justice with his magnificently goofy rendition. If Pine's impressive pipes surprised you, I bet you forgot that he was Prince Charming in the musical film adaptation of Into The Woods. Pine played Prince Charming to Anna Kendrick's Cinderella, and his character in the fantasy musical actually has a lot in common with Eric from Wet Hot American Summer. They're very handsome, but sort of vapid beyond that, and dang, both of them can croon! 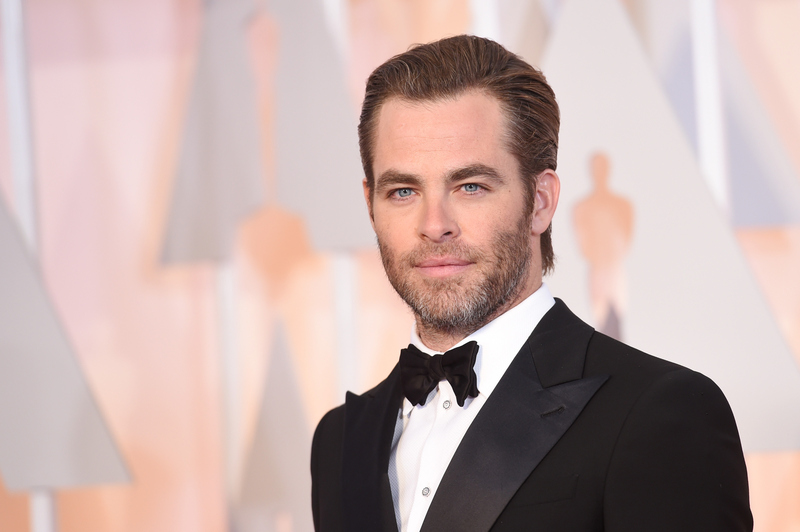 Chris Pine had some fans of the original Stephen Sondheim Broadway musical worried when he was cast, but he quelled those fears when he was promoting the film last fall. He serenaded Jimmy Kimmel with Frank Sinatra's "Fly Me To The Moon," and I hear that Kimmel is still in love with Chris Pine to this day. The actor held his own in Into The Woods, which was no small feat, as he was playing opposite Anna Kendrick who has the voice of an angel. And Pine, though he is an actor first and a singer second, loves to stretch his vocal chords whatever chance he gets. On The Ellen Degeneres Show last November, the star admitted that he likes to sing in the shower, because, you know, the acoustics. (If you were wondering, DeGeneres doesn't sing in the shower, but she probably dances adorably in there). Then the talk show host brought one of Pine's fans — who are called, and this is real, Pine Nuts — on to the stage, where he serenaded her (and she somehow didn't pass out from shock) with a few lovely lines from another Sinatra song, "Summer Wind." Hey, Chris Pine. If you're trying to play Frank Sinatra, why don't you just say so? You have the eyes, and your voice isn't half bad either.